Rafting and canoeing trips from one to five days are offered. 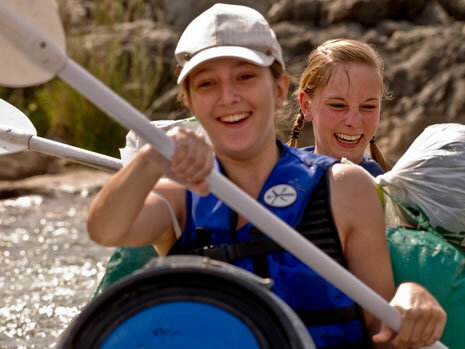 Choose a lazy paddle down the river or the more challenging wild water – being one with nature, we guarantee you won’t want this experience to end. Minimum numbers apply. 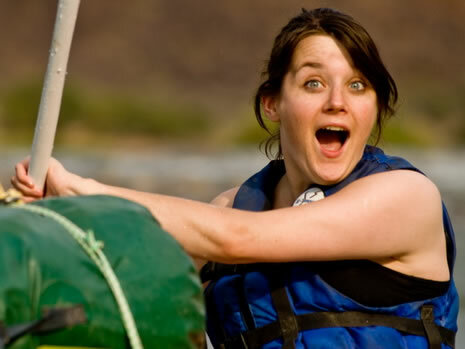 Relaxing days on the river followed by nights of incredible fun around the campfire, make up this great river trip. 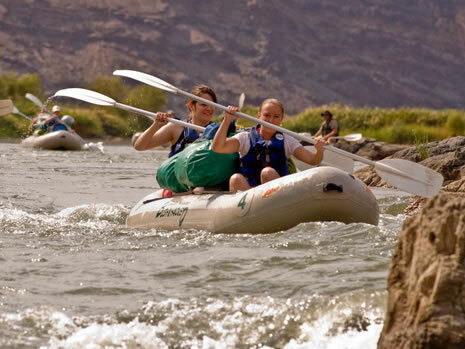 With grade 2 rapids, it makes the Orange River a suitable canoe trip for the whole family. Our full day trip is a copycat of the Half Day trip, except we launch further upstream from the camp, thus allowing a longer time on the river. About halfway through the trip, the guide will find a suitable bank for you to have lunch. The inflatable boat (croc), turned upside down, provides a fantastic table from which to serve lunch, consisting of a mixture of salads, pies and cold drink. After lying on the beach and soaking in the rays of the African sun, we launch again to complete the second half of the days’ paddle, ending at the campsite. Our Overnighter starts in the morning at Fiddlers Creek base camp. 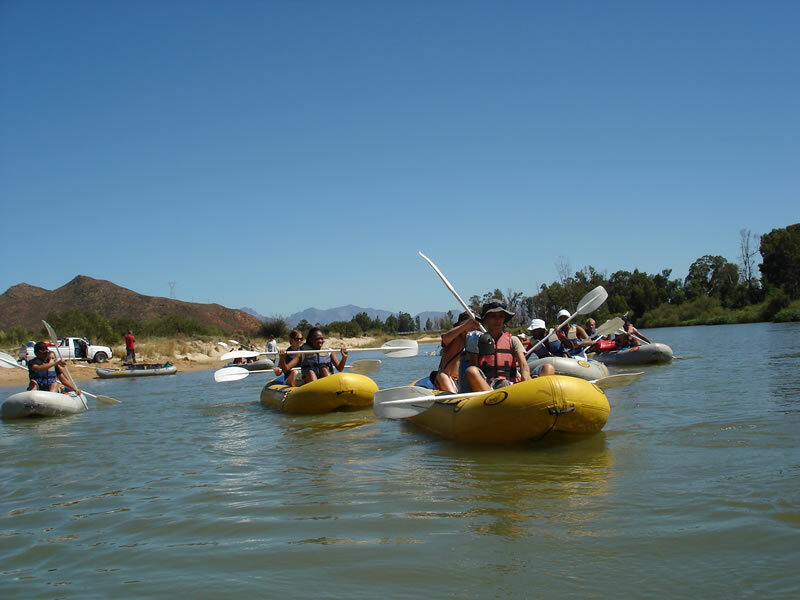 After a pre-launch introduction and safety speech, the Orange River experience commences. The day is spent paddling through some of the world’s most beautiful desert scenery, the green banks of the Orange River , contrasting against barren looming mountain ranges of the Richtersveld. Once lunch has been served, the afternoon is spent paddling and drifting down the river before finding an suitable spot to set up camp on the bank. Dinner is prepared over an open fire and the evening is spent under the twinkling heavens of the Southern Hemisphere. The following morning after a hearty breakfast, we are met by our 4×4 team who will take us back to base camp to end our Overnighter. Meet at Fiddlers Creek Campsite for the first night at camp where we have dinner prepared for you. The next morning we serve a big breakfast before we are transported up to the put in point which is about 14kms upstream from Fiddlers Creek. We spend the day paddling down the river with lunch served on the banks of the river. Throughout the day we can stop to take photos, swim or nappy run. In the afternoon we arrive back at Fiddlers Creek campsite where we have dinner and spend the night. Again, after breakfast we put in at the camp and paddle down stream enjoying another relaxing day. When we reach our final destination, transport will be waiting to take us back to the camp from where you set out on your journey home. If you would like to stay another night we can arrange camping and catering for you. The next morning after coffee and rusks you can head off home or on to your next holiday spot. We request that clients arrive at Fiddlers Creek Campsite on the evening prior to the trip departure date with dinner served between 8.00 and 10.00 pm . The next morning your guides will give you a pre trip briefing on what to expect during the trip, you will be allocated your boats, shown how to pack these and given an in- depth safety speech by your lead guide. After breakfast and packing all the equipment into the canoes we get into the river from the campsite to begin our four day river adventure. A slow paddle to the lunch spot will see that everyone gets used to the paddling and controlling the canoes. We set camp out in the open, under the stars on the bank of the river, at a site chosen by the lead guide, for the first evening. On the river we provide toilet facilities. Both full days of paddling, swimming and walks – each night camping under the stars at different sites further down the stream. An early start after breakfast takes us to the take out point at Ausenkhers or Sjambok where transport will be waiting to take us back to the base camp where we spend the last night. After coffee and rusks, the following morning, you set out on your journey home. 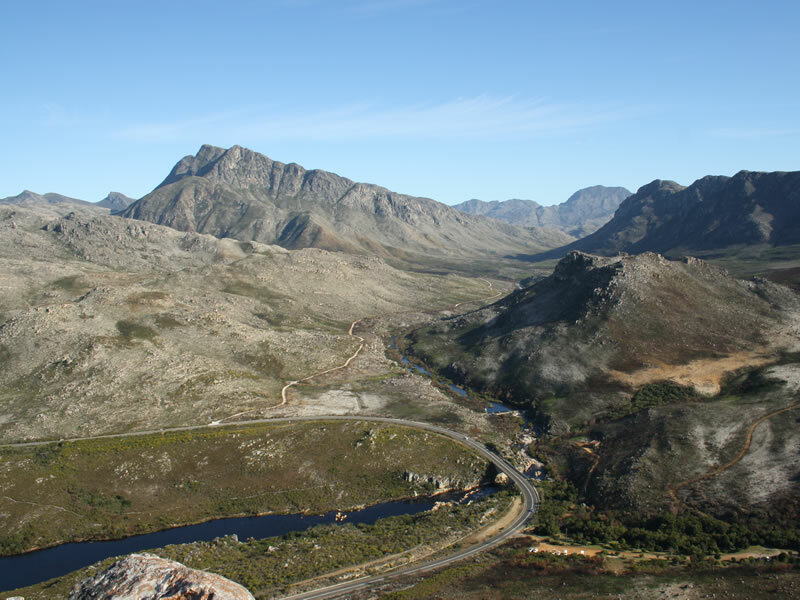 Close to Worcester through the heart of the wine lands, the Breede River winds its way through the Boland. This one-day canoe trip is a great way to experience the beauty of this area. 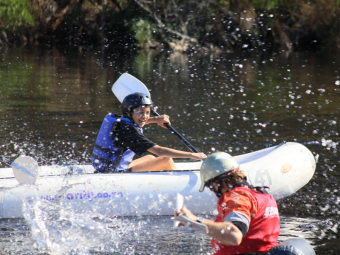 2 and 3-day canoeing trips on the Breede River are a great way to get together for a team build or just enjoy with a group of friends. 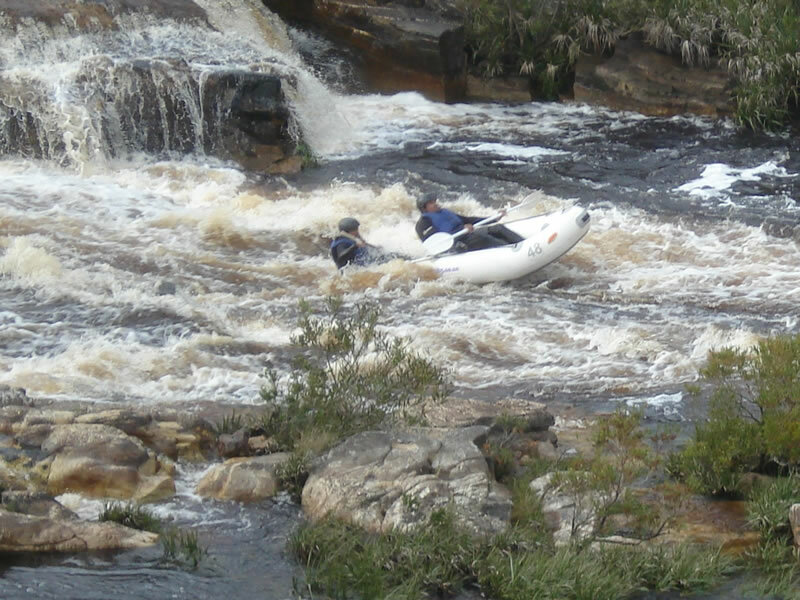 As the river flows slowly towards the sea, it offers a few exciting challenges through some rapids along the way. 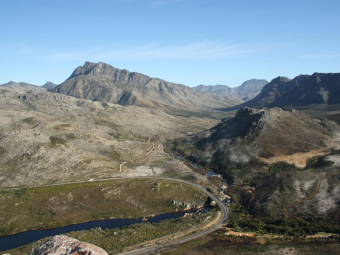 This 11-day excursion starts and ends in Windhoek in Namibia. 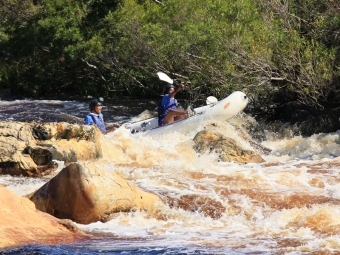 The Cunene River is wild and challenging and the adventure takes us down a remote section of the river forming the border between Namibia and Angola. For the real river enthusiast, this journey is a must. 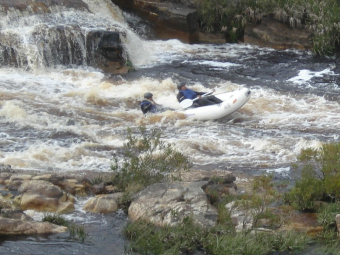 A wild river during the Western Cape winter months, situated in the heart of the Cedarberg, it offers an exciting but technical ride down the rapids, graded up to level 4 in the peak of the season. This is a fun river to navigate on either tubes or crocs. Being in a winter rainfall area, the best water will be during the winter months, but when the levels are lower, we use the tubes for an exciting ride down the river through this incredibly scenic area, with Castle Rock towering over the gushing waters.